Extensive avalanche protection measures are likely to change Longyearbyen’s cityscape over the next few years. This was the result of a study published by the NVE (Norwegian Water Resources and Energy Directorate) in mid-March. Thereafter, the buildings in the eastern part of Longyearbyen are classified as much more endangered than previously assumed. Avalanche danger zones mark the possibilities of an avalanche once in 100 years (red zone), once in 1000 years (orange zone) and once in 5000 years (yellow zone). 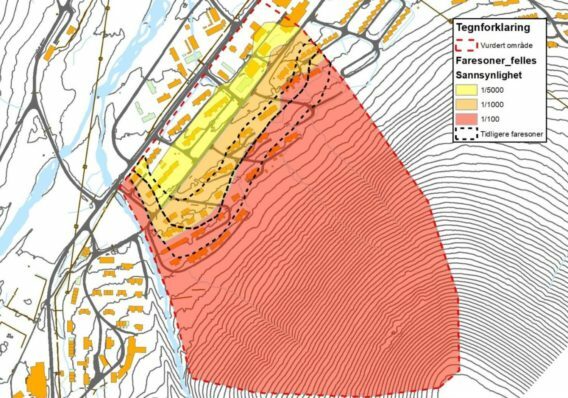 According to the NVE report, the danger zone reaches almost to the center, so that a number of houses with a total of around 140 flats may need to be demolished. As a protective measure, it is recommended to build a 10 to 15 meter high barrier. Where exactly the barriere should stand and which houses are affected in detail by the demolition, is still unclear. The barriere will probably extend across way 230 and 228 to Hilmar Rekstens Vei. In addition, at the foot of Mount Sukertoppen, several “brake cones” are to be installed, which can reduce the energy of an avalanche. The “brake cones” should each be ten meters wide and eight meters high. Together with the construction of new houses as well as a planned protection against mudslides from Vannledningsdalen, the construction work will probably cost at least 100 million Norwegian kroner (about 10 million Euros). These measures should be implemented within the next three years. In recent years, several houses in Longyearbyen have been hit by avalanches. 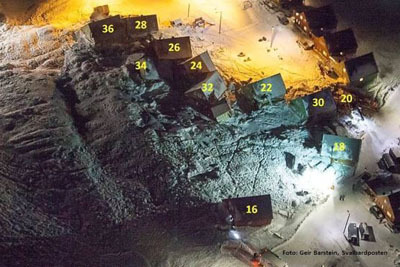 In December 2015, a catastrophic avalanche from Mount Sukkertoppen hit 11 buildings. A 42-year-old father and a two-year-old girl died. 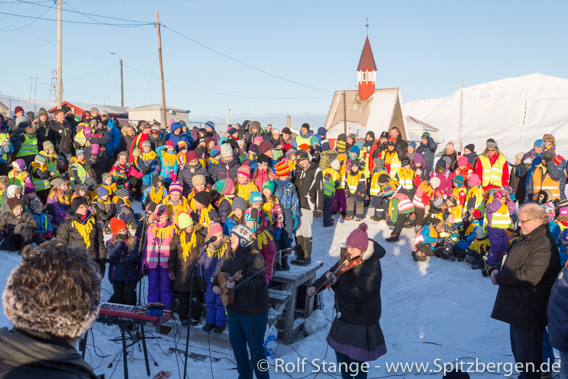 The disaster had a huge impact on the inhabitants of Longyearbyen and forced authorities and politics to act, but reactions on the various political levels from Longyearbyen to Oslo are slow. This is frustrating people locally, who have to live with month-long evacuations. In the avalanche disaster on 19.12.2015 houses were moved up to 80 meters. New Spitsbergen postcards out now (limited edition)! 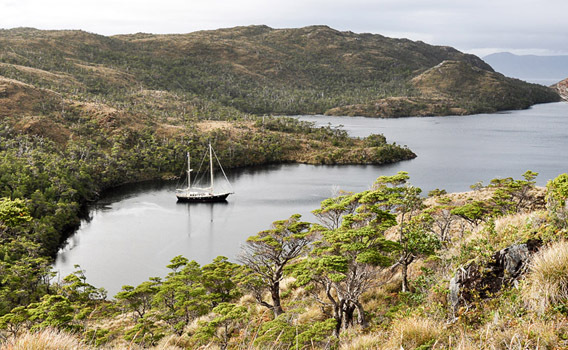 Longing for the Arctic? 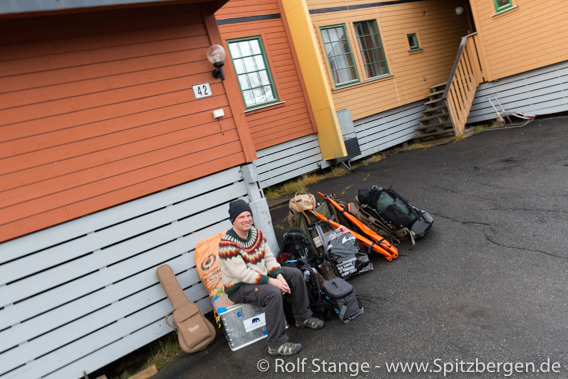 Or finally wanting to realize the dream of a trip to Spitsbergen? Then it’s time to convince a friend of a trip to Spitsbergen, preferably with a postcard that really awakens the longing for the Arctic. A polar bear mother playing with her cub, a yawning Arctic fox and, of course, fascinating landscapes of ice and rocks – and even more great pictures on the twelve new Spitsbergen postcards. A set of postcards costs 10 € and the edition is limited! 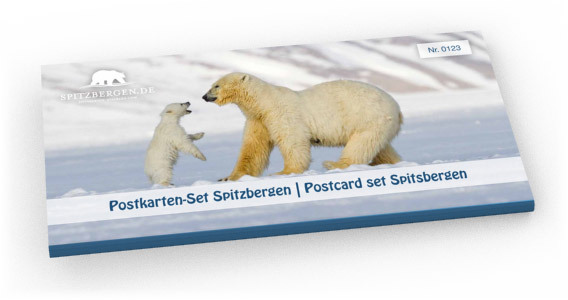 >>>Order the new set of Spitsbergen postcards now!